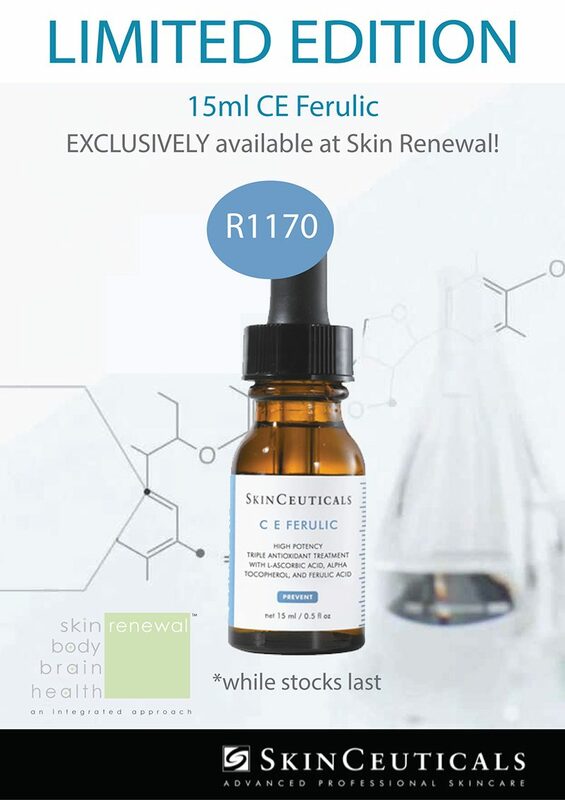 Exclusive at Skin Renewal this month is the 15ml SkinCeuticals CE Ferulic at a retail price of R 1170*. C E Ferulic is a daytime vitamin C serum that delivers advanced environmental protection and improves the appearance of lines and wrinkles, loss of firmness, and brightens skin's complexion. Visit www.skinrenewal.co.za for more information. To boost your immune system before Winter, see our Oasis Spa promotion for April 2016!